Tambourines, Skinned and unskinned, purchased in LA, Mexico City, London, Amsterdam, Paris and Rio de Janeiro and constantly being replaced as they tend to "fail" during tours..
Marillion use "Ultimate Ears" in-ear speaker technology for live monitoring. I’m proud to announce the release of my collaboration with Swedish chamber-rock band Isildurs Bane (IB). We made an album called “Colours Not Found In Nature”. IB were originally formed as a Progressive/Experimental rock band in 1976 and, over the years have developed and expanded into a full-blown mini-orchestra. I was introduced to IB by my chum, Richard Barbieri and have been added to their luminous list of collaborators (David Torn, Tony Levin, David Rhodes, Richard Barbieri, Pat Mastelotto ...to name but a few) before being invited last year to co-write their album. I wrote the words and sang all the lead vocals, while the IB “orchestra” have composed and played the music. I recorded my voice in hotel rooms around the world during the Marillion tours of last year. I do hope you enjoy the songs. 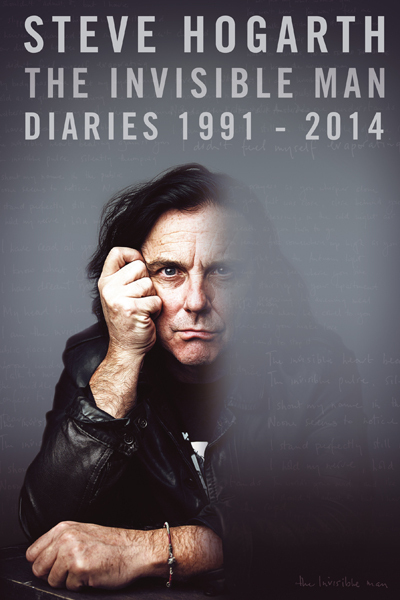 A new Live DVD from Steve Hogarth. DVD 1 is the movie of the solo concert and "one-night-only" collaboration with Italian band Ranestrane (“Strange Frog”) in Rome on September 12, 2015. Along with DVD 1 is a bonus DVD of h's Christmas show in the Museum of History, Stockholm in 2015. Two very different evenings but each with their own atmospheres in two of the world’s most precious cities. A collaboration with Richard Barbieri "Arc Light" is released on December 4 2013. Mr H and Mr B are proud to announce the release of a 5-track mini-album entitled "Arc Light". A "little brother" to their album "Not The Weapon But The Hand." The album features 4 new tracks and a new version of "Intergalactic" featuring guitars from Aziz Ibrahim, who also plays on two of the new tracks. This will be a limited edition, available in a numbered "Jewel case" CD format with an 8 page booklet featuring beautiful photography from Luigi Colosanti and H lyrics. 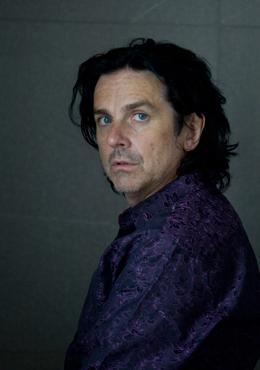 Before joining Marillion, Mr. h was keyboard player and co-vocalist for the Europeans from 1981 to 1984, releasing the albums Vocabulary, Europeans Live, and Recurring Dreams. 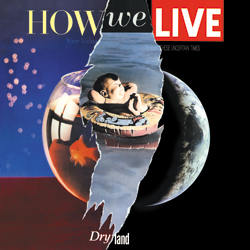 After limited success in Europe and a radio hit (The Animal Song) in the US with the Europeans, Steve left the band with guitarist Colin Woore to record under the name How We Live, releasing one album, Dry Land (the title track of which was subsequently covered by Marillion on Holidays in Eden) in 1987. In 1997 Steve recorded his first solo album outside Marillion. Ice Cream Genius was released under the band name "h" in Europe, and later in the US simply as "Steve Hogarth." After touring with the all-star "h Band" from 2000-2003 h released a double live album "Live Spirit Live Body". The start of 2006 saw Steve embark on his "h Natural" project - a series of intimate shows featuring just h and a piano playing songs from his entire career, and songs by other artists who have influenced him over the years. 2007 saw the release of the aptly titled h Natural DVD - a complete film of one of the shows, recorded in Sheffield. In 2008 he released a second h Natural DVD "Naked In The Chapel" of the live show at London's Union Chapel and 2010 saw the release of a best-of-live CD "Natural Selection". Downloads of h Natural live shows are available HERE also. 2012 and '13 has seen h collaborating with Richard Barbieri releasing critically-acclaimed album and mini album "Not The Weapon But The Hand" and "Arc Light". With 2014 came the release of Mr h's first book "The Invisible Man" Diaries in two volumes - Volume 1 (1991-1997) released in June and Volume 2 (1998-2014) released in November. December 2016 saw the release of “Friends, Romans” - a DVD of the collaboration between h and Italian virtuoso-rockers “RanestRane” performed in Rome Sept 12 2015. An audio CD is to follow in January 2017. A new complete single volume of "The Invisible Man” Diaries was released. 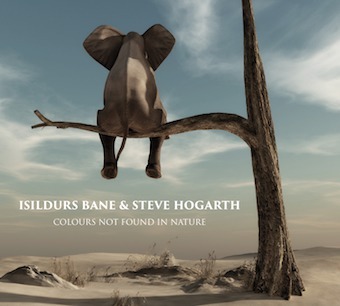 During the summer of 2016 (whilst finishing the Marillion album F E A R) h collaborated with Swedish chamber-rock band Isildurs Bane, writing all lyrics and singing lead vocals on forthcoming album “Colours Not Found In Nature” (available March 2017). On 26 November 2016 he performed this entire work with Isildurs Bane in Halmstad, Sweden. A third collaboration project with Richard Barbieri is ongoing. In January 2017 h was voted Best Lead Vocalist and Man of the Year in the readers poll by Prog magazine. Individual members of Marillion each achieved #1 status in their respective fields. He has 3 children and currently lives near Silverstone ...where they race the cars. Further h Natural shows can be found in the Marillion "Tour" section.